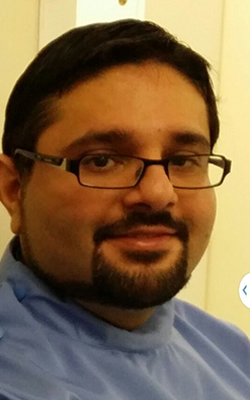 Just because we will lose our first teeth doesn’t mean that we shouldn’t look after them, says Wickford dentist Dr Harminder Sehmi. Baby teeth, milk teeth or even first teeth, call them what you will, but we will all have them and we will all lose them. Because our first set of teeth are temporary, some parents may not be too worried about their children not looking after them as well as they should do. This is bad news all round, and, whilst it is true that we will all lose our first teeth, some of them can last us well into our teens and even beyond. Baby teeth also have a purpose and, like the teeth that will follow, should be looked after correctly for a number of different reasons. As children switch from soft foods to eating harder foods, it is obvious that they will need their first teeth for eating. If these teeth are not looked after well and cause discomfort when eating, a child may be reluctant to eat some foods and this could result in a somewhat restricted diet. This could potentially even affect their growth and development. Yes, children will lose their first teeth but surely no parent wants to see their children in severe pain because their teeth have extensive decay. In fact, the number one reason for children to have hospital treatment is to have teeth extracted because of this problem. Because you couldn’t expect a young child, say of toddler age, to sit still to have a tooth extracted using a local anaesthetic, they have to be anaesthetised for this procedure and this can only be done in hospital. Although small, there are also additional risks when any medical procedure is performed using general anaesthesia. Making sure that they have regular six monthly examinations at the Cygnet Dental Practice will help to minimise the risk of decay, alongside good care at home. This restorative treatment offers many benefits for our Wickford and Rayleigh patients. After the use of a filling, a dental crown is one of the more common procedures used to restore a decaying or damaged tooth. 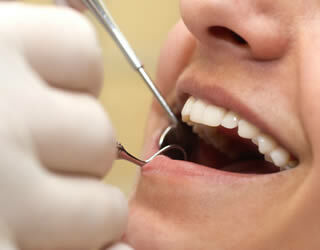 They offer an excellent means of providing strength to a tooth, where no other procedure can. They are also often used to complete both a root canal procedure and a dental implant placement. Although our teeth are generally quite strong, providing that they are healthy, there are still many ways in which they can become damaged. Whilst, at the Cygnet Dental Practice, we will always try to treat a patient using the least invasive procedure possible, this has to be balanced with the likely outcome. Although a filling may be a minor procedure, and is an excellent option in its own right, it is not always suitable for more significant damage to the teeth. A dental crown, also sometimes known as a ‘cap’, is a tooth shaped object which is used to replace the damaged or decaying part of a tooth where a filing would not provide sufficient strength. They are also usually used to strengthen the tooth following root canal treatment. To fit a crown, the tooth will need to be shaped so that the crown can be attached in a way that offers maximum security and strength. Both the shape and the colour of the rest of your natural teeth will be taken into consideration so that your new crown appears as natural looking as possible. How are crowns produced and fitted? 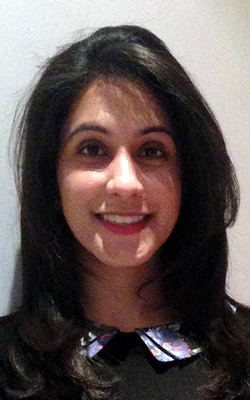 The period of time following treatment should be used to maximum effect, says Wickford dentist Dr Krupa Thakrar. We have discussed before, the reasons why patients should not fear having a root canal procedure at the Cygnet Dental Practice. Although it is invasive, it is a long standing, and usually successful, method for restoring a tooth where the root canals have been infected. This is done by removing the top of the tooth, extracting the infected material and cleaning out the hollow canals. Gutta percha is then used to fill the cavities, and, in most cases, a dental crown will then be attached to give the tooth both additional strength and a natural appearance. 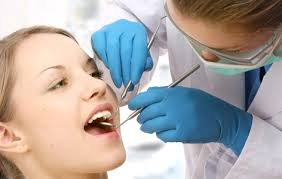 In a nutshell, that is the procedure that is used to save the tooth. Equally important though is what happens after the procedure has been completed. Because many patients are in some pain when they need to have this treatment, there can be an expectation that, once the anaesthetic wears off, they will still feel some discomfort, even if not as bad as before. This simply shouldn’t happen though, as part of the procedure involves the removal of infected nerve tissue, meaning that the tooth is in effect, a ‘dead’ one that feels no sensation. You may experience a little tenderness in the surrounding area but this should not be too significant and should soon go of its own accord. You may wish to take some suitable painkillers afterwards though, if you are especially sensitive to discomfort. If you are still in discomfort, a week or so following the treatment, please contact our Wickford practice to have it checked. In the highly unlikely event that you are in significant pain following the procedure, please call us as soon as possible. 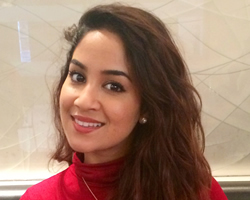 The rise in coffee consumption in the UK could pose a challenge for the health of our teeth suggests Cygnet Dental Practitioner, Dr Nabiha Farooqi. At the moment, it seems that we don’t hear much good news about the economy at all. One area though that seems to be ever expanding is the omnipresent coffee shop. Even the smallest town now appears to have least one, with Wickford being no exception. The British simply can’t get enough of this product, but does this popular beverage pose any threat to our oral health at all? One of the appeals of coffee, of course, is the quick energy burst that the caffeine provides. This is a naturally occurring substance that is present in a number of plants, including tea leaves. There are also other recognised benefits of caffeine such as its anti inflammatory and antioxidant properties. There are even some sources which claims that drinking coffee might lower the risk of some oral cancers (reference 1 below). One of the problems with some of these findings though is that to have any significant effect, between 4 and 6 cups of coffee a day need to be drunk. This can lead to other side effects such as increased heart rate and ‘the jitters’. It could also have an effect on your teeth and gums too. Whilst caffeine might reduce the risk of gum disease, it could, potentially, cause damage to your teeth if you drink a lot of it. ‘Caffeine’ addicts may become agitated and jittery if they drink too much of it, and some have argued that this leads to an increase in bruxism (teeth grinding), or perhaps rather, the intensity of it. As we know, this is a habit that can be very harmful and destructive to our teeth and it is best if we moderate our caffeine intake to help to prevent it. The other most visible effect that coffee has on our teeth of course, is staining. Especially when strong and intense coffee drinks, such as espressos, are drunk, the dark staining properties are soon very visible for all to see. A teeth whitening procedure can be used to reverse this, but for those who prefer to prevent it in the first place, coffee is probably not the beverage for them. 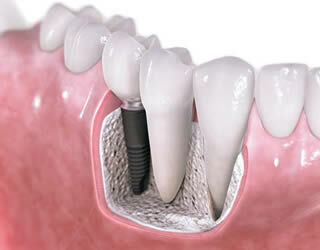 If you are considering having implants to replace missing teeth, here is what you need to know. A lost adult tooth means that it is gone forever. There is no natural replacement tooth waiting to come through as they do when you lose a ‘baby tooth’. Whilst you could, feasibly, just leave a gap, most people will want to replace it, especially if the gap would be visible. There are arguments for dentures being suitable, particularly as they typically require no surgery to have them. Many wearers though, find them to be uncomfortable and, at times, unstable. They can also be quite difficult and inconvenient to keep clean and have to be removed from the mouth to do so. None of the above issues apply to dental implants. Once fully integrated with the bone, most people find that implants not only look like, but also feel like, a natural tooth once they have become used to them. 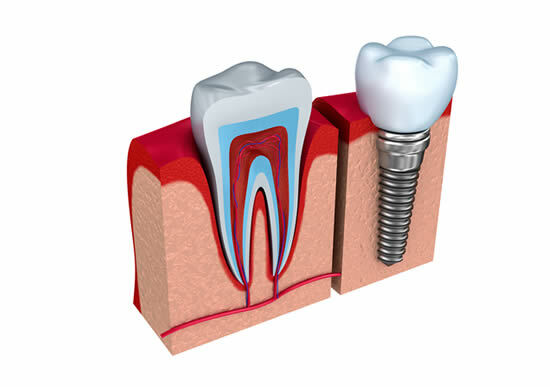 Because the titanium ‘root’ is now firmly bonded with the bone, implants will not move around. They can also be cleaned exactly as you would your natural teeth. The above are likely reasons that dental implants are popular. The success rate is also very high, but there are a number of things that the patient can do to help the success of their treatment. We have likely mentioned this in a previous blog, but it is worth reiterating. Be very cautious about opting to have your treatment abroad, especially where the price may seem cheaper than in the UK. There are many reasons why this could be the case. A positive way of looking at it is that some countries are simply cheaper to live in. However, and especially where the prices differences are significant, the reasons may be less innocent. It can be hard to determine the qualifications of dentists in some countries and it may well be that you are signing up to have your implants placed by someone with little experience. 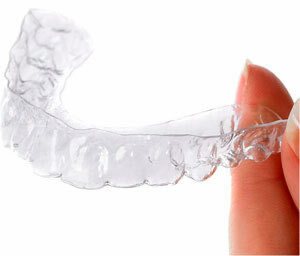 They may also use cheaper implants which can compromise the bonding process and may lead to the implants failing. On a human level, you should also think about potential language barriers which can make communication between dentist and patient more difficult. Whilst most European dental practices should have a good level of hygiene, this may not be the case if you decide to combine your implant treatment with a long haul holiday to further flung regions of the world. If you are considering having implants, talk to the team at the Cygnet Dental Practice about them before making any rash decisions to go abroad.